A friend of mine who got an invite to the PTS for the upcoming patch 5.2: The War for Iokath sent me this screenshot from the new daily area’s imperial quest hub. 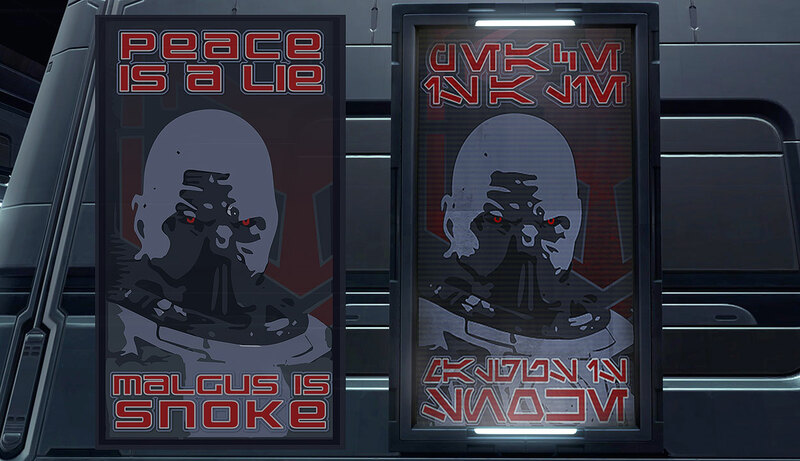 He doesn’t know Aurebesh, but figured I could translate it for him so I thought I’d give it a go. 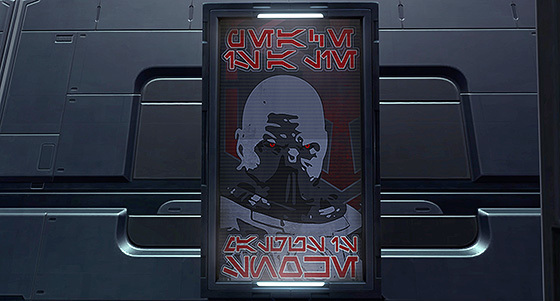 At first glance this seems like a bog standard Imperial recruitment poster featuring one of the game’s most beloved Dark Lords. It’s topped with an invocation of the Sith code, but its tagline, however, is a different thing entirely. Not only does it have significant implications for the future of SWTOR but for the entire Star Wars saga. Whether this is an inside joke for folks on the PTS or kind of a big spoiler, I cannot say. Click on the thumbnail and see the translation at your own risk. You’ve been warned!